Sometimes you've got to heed the call of the wild child within. Sometimes you've got to go home with a bunch of grapes who're ugly as sin. MONTEPULCIANO isn’t a common variety, and the Riverland ain’t the sexiest place to grow grapes. But boy does this Monte pack a punch! This gang of grapes gets together and lets loose; pummelling your eyes with its deep plum colour, peppering your nose with bitter-sweet mulberries and cramming your mouth with a creamy texture that belies its fruity finish. VERMENTINO is far more sassy than a savvy b. Tracing their origins to the island of Sardinia in the south of Italy, these gonzo grapes have completely embedded themselves in the warm, dry climate of the Riverland. Blonde tips with a citrus soul, this gang of grapes will leave your palate happy with a clean, crisp and floral lift. The NDM blend is a story that is truly unique, where the big, juicy NERO D'AVOLA is tamed by the smooth, elegantMONTEPULCIANO. Italian grapes grown together under the Riverland sun, the NDM is a sultry beast: dark and alluring, smoky and spicy, juicy and delicious. 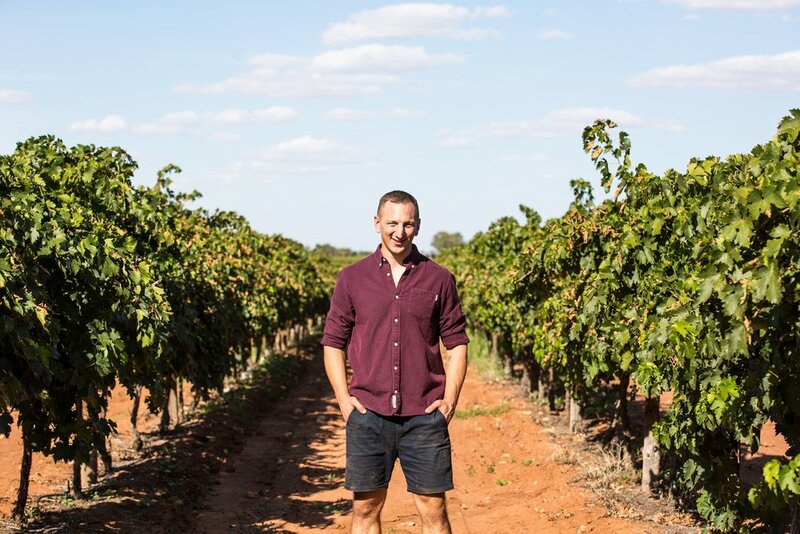 Originally from Puglia, the boot heel of Italy, BIANCO D'ALESSANO can seem a little crazy – there is only one vineyard in Australia, on the sun drenched banks of the Murray River! Easy drinking, packed with fresh tropical fruits and crisp, refreshing acid – and with a bit of spritz to make you smile – pop the top and embrace the weirdness. You will be charged $75 every three months, with wine sent out the same day. Minimum charge 12 months.